Dual RCA male audio 2m (6.5 ft) output cable interfaces direct to Sonic Hub or virtually any marine stereo system. Networked over high speed Ethernet 2 meter (6.5 ft) output cable. 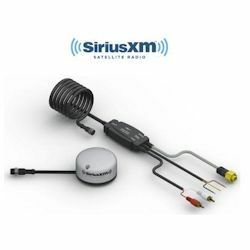 SiriusXM audio packages can be added to any Marine Inland, Marine Coastal, or Marine Offshore weather subscriptions for an additional fee.